This coming May 11, GMA News will be launching the first mainstream Facebook-only newscast in the country. 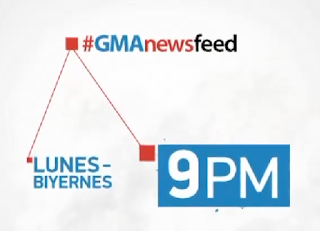 Entitled #GMAnewsfeed, the program will be anchored by Ivan Mayrina and posted to Facebook live at 9 p.m.
Each episode will be two minutes long and pre-recorded, and will be posted to Facebook every Monday to Friday night. Considering how big of an impact social media has on the lives of Filipinos, using it as a portal for news and information isn’t so surprising. According to a survey conducted by UM, a division of IPG Mediabrands, Filipinos spend an average of 53 hours a week on social media. That’s 11 hours more compared to the global average. This isn’t the first time GMA has pioneered the use of social media as a way to keep people informed and up to date about important developments. Just last year, GMA launched the IM Ready public safety portal, intended as a one-stop shop for disaster-related information. The original IM Ready campaign, launched in 2010, was intended to raise public safety and awareness and now provides information on traffic situations, gas prices, class suspensions, and the like aside from weather phenomenon. Think Before You Click is another campaign GMA News conducted, aiming to promote the responsible use of social media. The campaign urges people to think about the consequences of their social media activity, not just for themselves, but also for the people around them.